Obituary for Dorothy Mae McQueen | Fleming & Billman Funeral Directors, Inc.
Dorothy ”Dot” M. McQueen, age 97, of Lenox New Lyme Rd., Jefferson, died Thursday, August 30, 2018, at her residence. She was born on March 7, 1921 in Cleveland, the daughter of David Huston & Willie Mae (Crawford) McQueen. 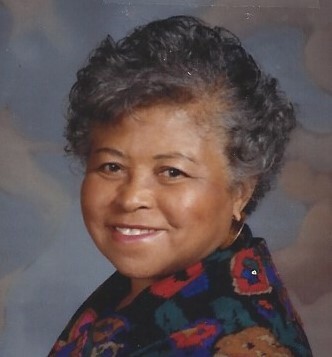 She attended and graduated from John Haye High School in Cleveland on June 15, 1939. She worked for the Cleveland Water and Light Dept. for 37 years until her retirement. Her fun time was roller skating, helping with and participating in roller skating shows at the Pla-Mor skating rink. The bowling team she played on and the road trips she went on in and out of state. She is survived by a brother, Charles P. H. McQueen of Ashtabula; sisters, Beatrice Humphrey of AZ, Maxine Wallington of CA, Helen McQueen of Jefferson and many loving nieces and nephews. She is preceded in death by her parents; sister, Rosebud Nalls; brothers, Alphonzio, David, Willie Fred, Lawrence Earl McQueen. Dorothy will be greatly missed by all the nieces and nephews who came to visit. Funeral services will be held Tuesday, September 11, 2018 at 11:00 A. M. at the Jefferson Home of Fleming & Billman Funeral Directors and Crematory, 49 W. Jefferson St., Jefferson with Pastor Debra Hines officiating. Burial will take place in Lenox Center Cemetery. Visitation will take place from 10:00 A. M.- 11:00 A. M. prior to the service. In lieu of flowers contributions can be made to the Ashtabula County Veterans Service Commission, 1212 Lake Ave., Ashtabula, Ohio 44004. The Jefferson Home of Fleming & Billman Funeral Directors and Staff are honored to serve the Dorothy M. McQueen family. Guestbook, condolence expressions and obituary can be found at fleming-billman.com.